Over the last 40 years, the leadership industry has grown exponentially. Yet leadership education, training, and development still fall far short. The question is, why? Professionalizing Leadership suggests that the reason that leadership has stayed stuck is because it remains an occupation. It never became a vocation, not to speak of a profession. This book aims to create change – it provides the template necessary for transforming leadership from dubious occupation to respectable profession. The End of Leadership tells two tales. The first is about change – about how and why leadership and followership have changed over time, especially in the last ten years. As a result of cultural evolution and technological revolution, the balance of power between leaders and followers has shifted in democratic systems and organizations – with leaders becoming weaker and followers stronger. The second narrative is about the “leadership industry” itself. Questions are raised both about leadership as a scholarly pursuit, and about leadership as a set of practical skills. Specifically, does the research justify the undertaking? And can leadership be taught – if so, how do we know? 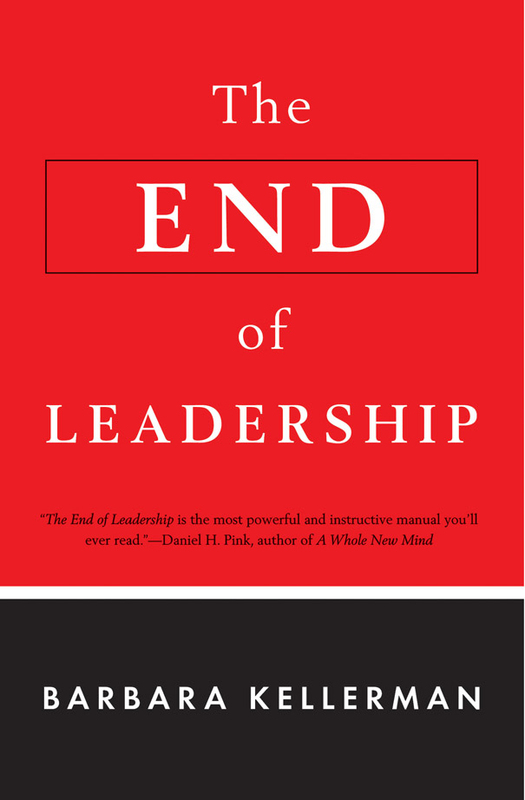 The End of Leadership was long-listed by the Financial Times as one of the best business books of 2012. And it was named by Choice as one of the best academic publications of 2013. “Barbara Kellerman does not play nicely with the other boys and girls – and we are all the better for it. 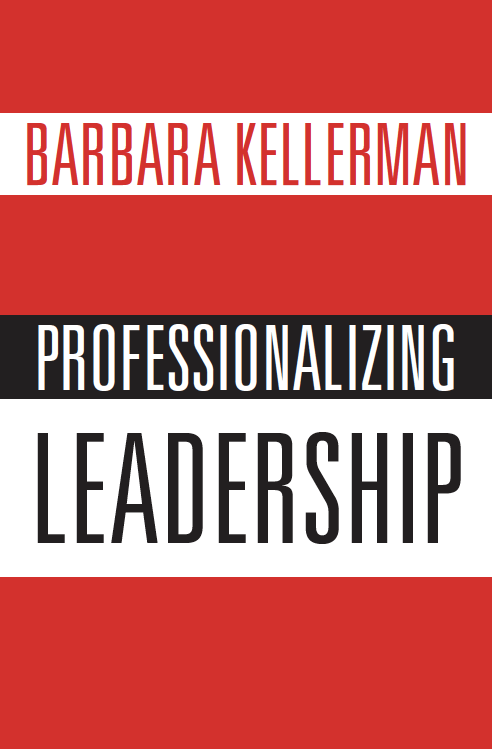 Anyone interested in a penetrating critique of the leadership industry should read this provocative new book from our foremost leadership contrarian.” -Robert Kegan, Meehan Professor of Adult Learning and Development, Harvard University Graduate School of Education. Leadership: Essential Selections is a concise yet expansive collection of great leadership literature that has stood the test of time. Every single selection has had and continues to have an impact on how and what we think about what it means to be a leader. And every single one has had an impact on leadership as an area of intellectual inquiry. Included are selections from Lao Tzu, Plato, Machiavelli, Wollstonecraft, Paine, Marx and Engels, Tolstoy, Weber, Freud, Friedan – and Queen Elizabeth I, Gandhi, Churchill, King, and Mandela. The selections in the volume are timeless, universal, and essential reading for anyone with an interest in the subject of leadership and, for that matter, in great literature. There is no leader without at least one follower – that’s obvious. But this groundbreaking volume is the first to provide a sweeping view of followers both in their own right – and in relation to their leaders. It deliberately departs from the leader-centric approach that has for too long dominated our thinking about leadership and management. 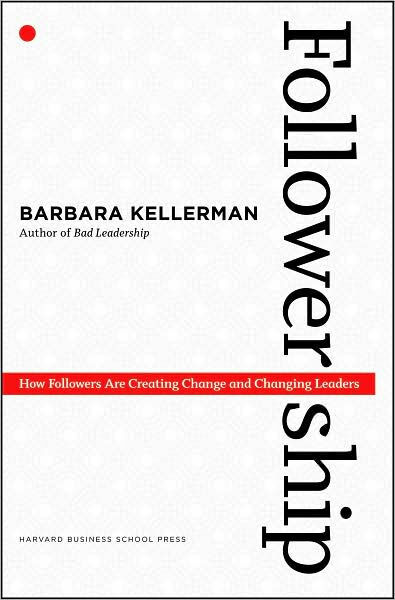 Followership enables us to see how people with relatively fewer sources of power, authority, and influence matter. They matter when they do something – and they matter even when they do little or nothing. In these rapidly changing times, and as Kellerman makes crystal clear, to fixate on leaders at the expense of followers is to do so at our peril. The latter are every bit as important as the former – which makes this book required reading for superiors and subordinates alike. Despite recent progress, women seeking leadership positions face persistent and pervasive barriers. These include gender bias in leadership opportunities, gender inequalities in family responsibilities, inflexibilities in workplace structures, and inadequacies in social policies. Women and Leadership brings together in one comprehensive volume preeminent scholars from a range of disciplines to address the challenges involving women and leadership. These experts explore when and how women exercise power and what stands in their way. 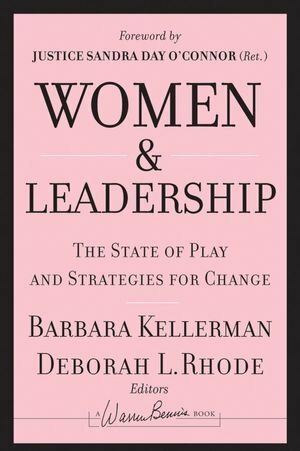 This groundbreaking volume offers readers an informed analysis of the state of women and leadership. Bad Leadership argues that it’s time to embrace a more honest, holistic view of leadership that acknowledges the dark side of the human condition. 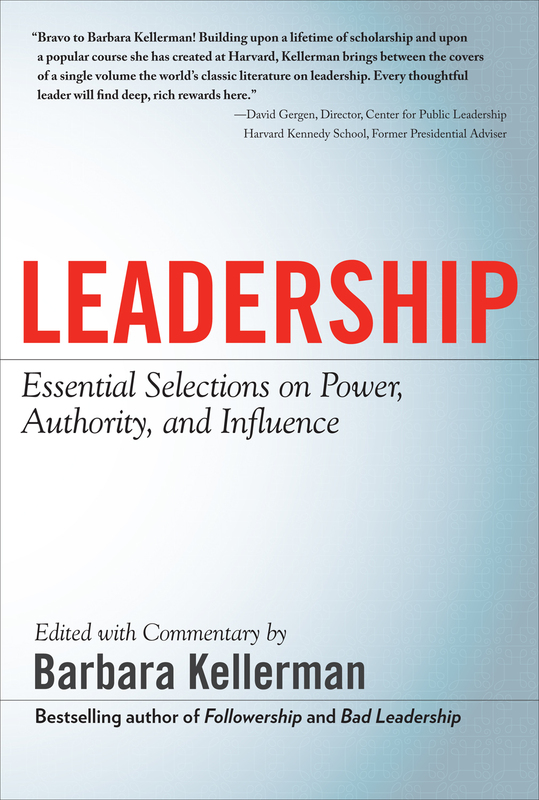 In a departure from conventional thinking, Kellerman contends that bad leadership is not exactly an aberration, but a ubiquitous and often insidious part of everyday life. 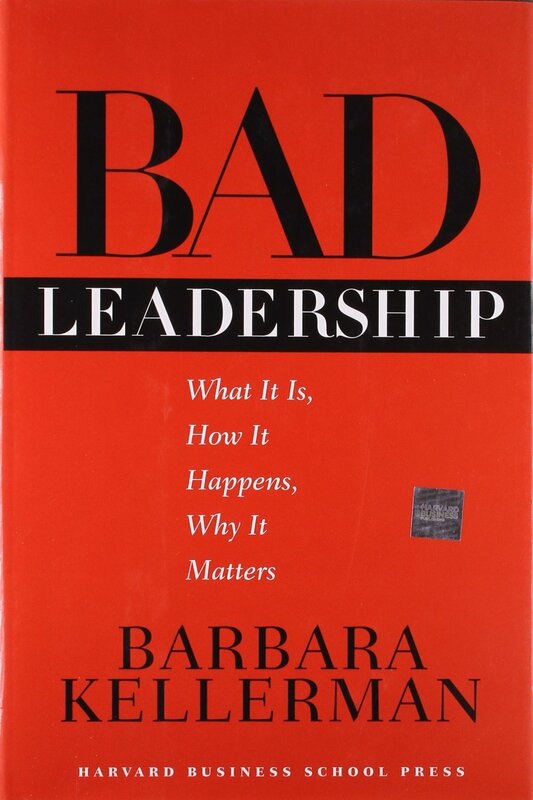 Two basic categories of bad leadership are identified – ineffective and unethical – as well as seven different types, ranging from incompetent at the one end, to evil at the other. “Leadership and Lactation” in Women’s Leadership Journeys: Attributes, Style, and Impact, Sherylle Tan and Lisa DeFrank-Cole, eds, Routledge, 2018. “The Importance of Being Expert – Contextually Expert” in The European Business Review, January/February, 2017. “The Heart of Darkness” in More than Managing, Lawrence Hoffman, ed., Turner, 2016. “Women at the Top: The Pipeline as Pipedream,” About Campus, 2016 (with Deborah Rhode). “Leadership – It’s a System, Not a Person” Daedalus, 2016. “Leadership and Change: Convergence and Divergence between the United States and Russia” John Storey et al, eds, Routledge Companion to Leadership, 2016.